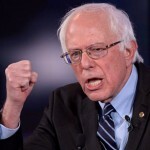 Bernie fails leadership test | Pulitzer Prize Winner Cynthia Tucker | Journalist. Professor. Progressive. Bernie Sanders is facing a critical test of his leadership, and, so far, he’s failing. When some of his supporters threw chairs at a mid-May convention of the Nevada State Democratic Party and threatened the life of Roberta Lange, the state party chairwoman, Sanders’ response was to paint the Democratic establishment — the leaders of the party with which he has had a marriage of convenience for decades — as corrupt. There is an old axiom, frequently quoted to younger folk facing difficulty, that says you are more accurately judged by your response to adversity than your response to advantage. There’s much truth in that — and Sanders, who is no longer young, should know it. In so doing, he simply makes the case for Clinton, who clearly is better suited, not only by experience but also by temperament, for a demanding job where you don’t always get your way. She has been just where Sanders is now: remember 2008? She didn’t threaten to turn the nominating convention upside down or insist that she’d been cheated. Sanders’ tactics, by contrast, are not only shortsighted and immature, but they are also dangerous, fueling the cynicism and suspicion that are already eating away at the civic fabric. He is leading his voters to believe that he is being cheated out of the nomination, but that is simply not true. The party rules that hand over outsized power to unelected super-delegates, most of whom are Clinton supporters, are not democratic (small “d”), but those rules have been in place for decades. Sanders never complained about them before. Of course, Sanders hasn’t been a Democrat before, either. 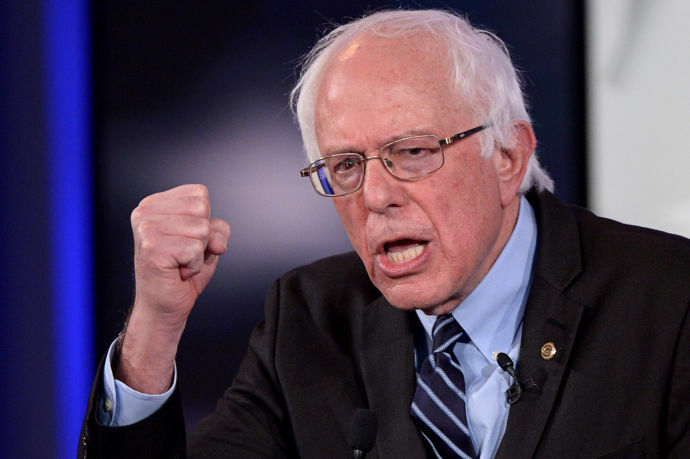 He has spent most of his career as an independent, a self-described socialist. While he usually votes with Democrats in the U.S. Senate, he has often snubbed them publicly, suggesting his colleagues were too wedded to a corrupt system. That is not the sort of history likely to persuade those same colleagues — many of whom are super-delegates — to support him for the nomination. Thank you for your incisive, eloquent essay regarding Bernie Sanders. The word petulant rings so true to me. Having taught high school English for nearly 40 years, I am very sensitive to tone, and there has always been something about his tone that sometimes borders on adolescent snarkyness. The point is that the party needs to unify in order to defeat Trump, and Sanders should encourage his supporters to support Clinton if she is the nominee. The bigger picture is getting lost. I love your article on Bernie Sanders, Cynthia! What you wrote is exactly what I’m thinking. If Bernie Sanders continues to cast aspersions at Hillary Clinton and The Democratic Party, he will be responsible for a possible win by Trump. Let’s go with the true Democrat and not the Socialist, who has the experience and brains to run the presidency, Hillary Clinton. Ms. Tucker, I’ve read your article ” Bernie fails leadership test” three times. I guess what bothers me is why a professional, Pulitzer Award winning journalist would resort to lying and throwing out the race card for a total waste of newsprint. what your paycheck signer says is news. That is how it appears to probably not just me. the newspaper business is falling through the toilet in case you haven’t noticed. Great newspeople have always tried for that “big story”. You have ALL missed the “big story” this year which IS Bernie Sanders. It is so sad that instead of reporting and airing the important issues concerning us, our children and grandchildren and planet we get a $5mil. a year HACK like Wolf B showing us another Donny and Hilliar rerun.